Currently there’s only one Jaguar with the SVR high-performance treatment, the F-Type SVR. Jaguar’s sister brand, Land Rover, has the Range Rover Sport SVR. Both are brilliant models well-deserving of the attention, but we don’t think we’re alone in wanting to see additional JLR vehicles receive the same preferential treatment. Rendering artist Nikita Aksyonov has cooked up these images of what a potential XJ, XF and E-Pace SVR editions could look like. We’re sold.Thing is, Jaguar doesn’t appear to have any immediate plans to build them. What we can confirm is a 575 hp F-Pace SVR, due to arrive next year at the New York Auto Show. Of these three renderings, we’d be most anxious to see the XF SVR, which would compete directly against the new BMW M5 and Mercedes-AMG E63. 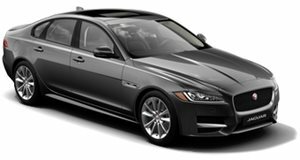 The best XF you can buy at the moment is the XF S, which produces 375 hp. That’s not really much when compared to, for example, the mighty M5’s 600 ponies. Even this proposed XJ SVR could give the BMW M760i a run for its money, assuming Jaguar were to give it the right engine. But of these three, we honestly see Jaguar preferring the E-Pace SVR. Why? Because crossovers are selling better than sedans, a trend that’s unlikely to change in the immediate future. 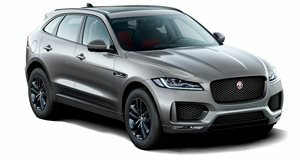 Still, if sales of the upcoming F-Pace SVR prove to be as good as Jaguar predicts, then it’s entirely possible the SVR line will expand to not just the E-Pace, but the sedans as well. What about the XE? Jaguar just said it has no plans to build an M3 fighter, which would be the XE SVR’s task (the insane XE SV Project 8 is something else entirely). Problem is take rate, which Jaguar’s data indicates simply wouldn’t be high enough.